The Fitbit Flex is a wristband that contains a pedometer, it has a set of LEDs that can be configured to measure your desired goal, be that steps, distance or calories burned. It can also be used to log length and quality of sleep. It syncs via Bluetooth and an included adapter to your PC or direct to your iPhone or some Android phones. the other. It comes with a band not unlike charity bands with a raised section at the top and a window for the LEDs. It has a two pronged clasp that allows for a lot of adjustment to fit on your arm. Having worn the band for a few weeks now, I can say that the fit is very nice and comfortable, and the fact it is wash proof means you don’t need to worry about it when doing the washing up or any other water based tasks. If the band starts to get a bit funky smelling, a quick rinse and its back to smelling like new. The plastic window for the LEDs is not as rugged as I would like however, and I’ve already managed to crack it in a couple of places. While I can still see the LEDs, it just ruins the otherwise pristine look of the wrist band. Given that I have managed to destroy all but the most rugged of wristwatches I would say the Fitbit Flex is holding up pretty well, and hopefully in the near future Fitbit will release replacement bands (plenty of customisation options would seem a good idea). As for doing the job it was meant for and measuring my steps, it is hard to check the accuracy because there is no display, but when I have done longer walks, where I have been able to compare my distances on maps, it has been pretty accurate. It’s really nice to have the vibrating and lights flashing when you reach your goal for the day. The ability to do this is one of the nice benefits of having the device mounted directly in contact with your skin. The other good point about the skin contact for me is one of the killer features of the Flex: a silent vibrating alarm which allows your partner to sleep on in comfort when you have to get up. The final benefit of wearing the band is the ability to measure sleep patterns without transferring the tracker to a different mounting and this is done with a couple of easy taps on the band until it vibrates, so it can be done in the dark. 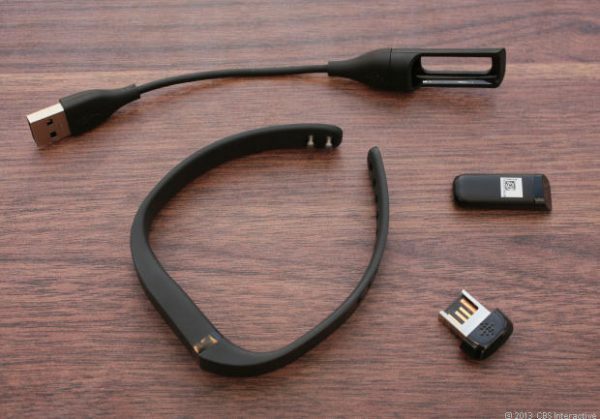 A small bluetooth adapter comes with the flex, and installing it is part of the setup procedure. After that you pretty much forget its there and the flex syncs seamlessly with your PC every time it is on and you are near it. As I own a non-Samsung Android phone, I was not able to sync directly with my phone (its iPhones and Samsung Galaxys only at this point). This is due to Android being slow to include updated Bluetooth drivers in their software (come on Android pull your finger out!). 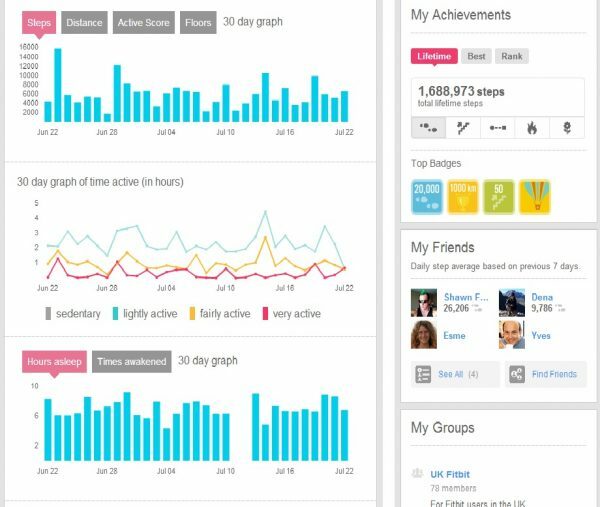 www.fitbit.com and you can log a bewildering amount of information on the page including steps, distance, calories spent and sleep patterns. You can also track weight, body dimensions, water drunk, food eaten (needs a UK food database though). All this information is then laid out in tiles or graphs configured to your liking in a clean easy to use tiled home page. via the various groups that have formed on there network, who share interests or are in a similar location. That isn’t to say all this information is just out there. What you decide to share with the world, if anything, is entirely controlled by you. Another nice feature of the site which aids in motivation are achievement badges, which you receive at various pre-determined milestones, and are displayed on your profile and can be shared via Twitter or Facebook. These can give you boost when you are lagging. 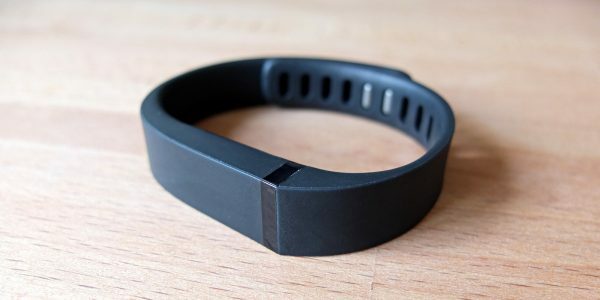 I really like the Fitbit flex. 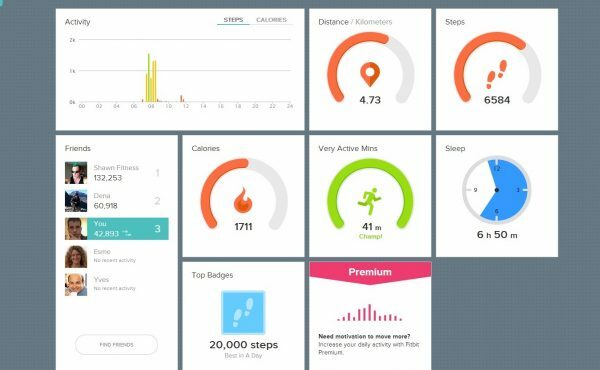 It is everything you could want in an activity tracker, paired with the Fitbit software it is ideal for anyone looking to improve their health or just be a bit more active. My only complaint would be the fact I can’t sync with my phone (I mostly blame Google for this, not Fitbit) and the lack of a UK food database.